The same British colonial movement that brought about the Manning Portable Cottage also introduced iron manufacturing in building construction. Building components, such as windows, lintels, trusses, beams and columns could now all be manufactured at a foundry, fabricated in a work shop, and immediately assembled in structural systems on the job site. The roots of the steel structural movement in the US can be traced back to this first prefabrication with iron construction. 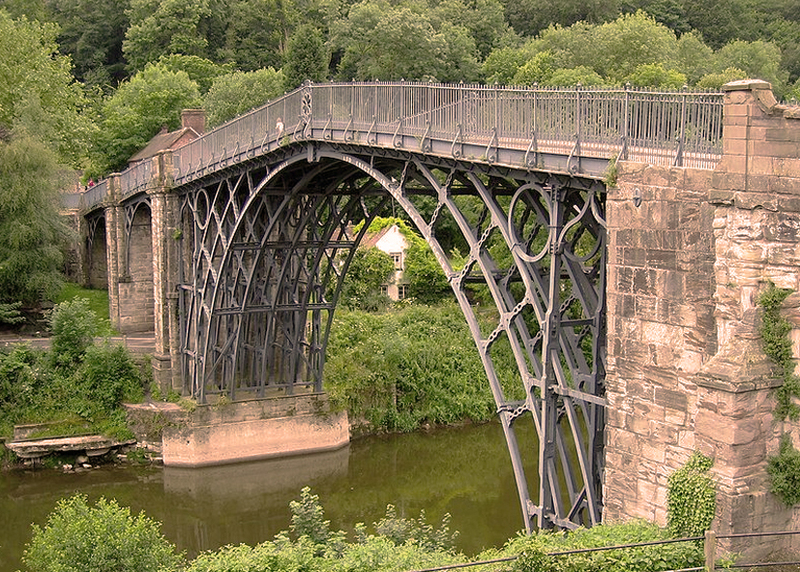 In Britain, iron construction was first used in the building of bridges, and it was the streamlining of this production and erection process that showed promise. The first ever prefabricated cast iron bridge (above) was almost entirely made of prefabricated pieces, and erected onsite over a two year period. The bridge was designed by British Architect, Thomas Pritchard, as a semicircular arch spanning 30.6 m (containing 5 arch ribs, each cast in two halves) and built by iron-founder Abraham Darby III . Pieces became standardized (they could be cast repeatedly), and shipped to the site with fewer and less skilled labourers needed to put them together. This saved time and money compared with traditional wood or masonry construction. Soon the benefits of this system could be applied to shipbuilding, where heavy plates riveted together to form units could be assembled, disassembled and reassembled. 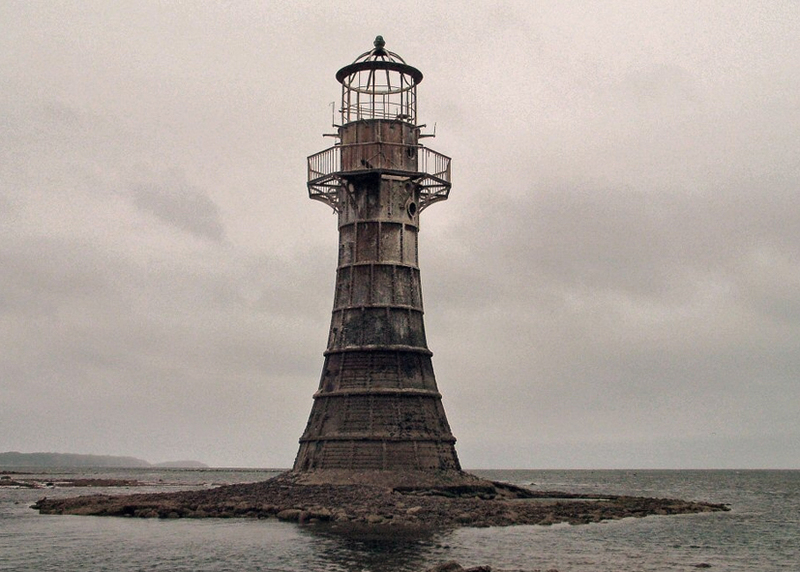 In the mid 1800s, lighthouses and other building types were constructed using the same technology. Before contemporary structural steel, cast iron construction used mass-produced and interchangeable components that served a wide variety of uses with a number of applications. Standardizing the manufacturing aspect of production translated into time and money saved through economy of scale. The technology became a frame, upon which one could mould any number of stylistic expressions (Gothic, Baroque, etc.) . This idea of building easily erected designs led to pursuing prefabricated design, especially at the onset of the Industrial Revolution. The single most extensive use of this material was in the standardized structure and infill enclosure of the Crystal Palace during the Great Exhibition of 1851 in England. British engineers produced the Crystal Palace around the concept of prefabricated and demountable modules. These modules pioneered a new ease of construction, which not only allowed all 19 acres of the original building to be built in an unprecedented 9 month span, but also allowed the entire building to be relocated from the site in Central London to Kent in 1854. While incorporating most of the parts of the original building, the re-invention formed a very different Beaux-arts structure. It was constructed of new cast-iron structure, prefabricated units, and a glass curtain wall. The main gallery was redesigned and covered with a new barrel-vaulted roof, the central transept was heightened and greatly enlarged and two new transepts were added at either end of the main gallery. It stayed in Sydenham Hill until it burned down in 1936. Though it was not the first, or last, in cast iron architecture, the Crystal Palace linked the Manning Cottage pre-cut timber framing with the new material of the day. The Crystal Palace is also important because it represents a shift in the modern architect's understanding of what is beautiful, suggesting that beauty may be as simple as the functional means of production. 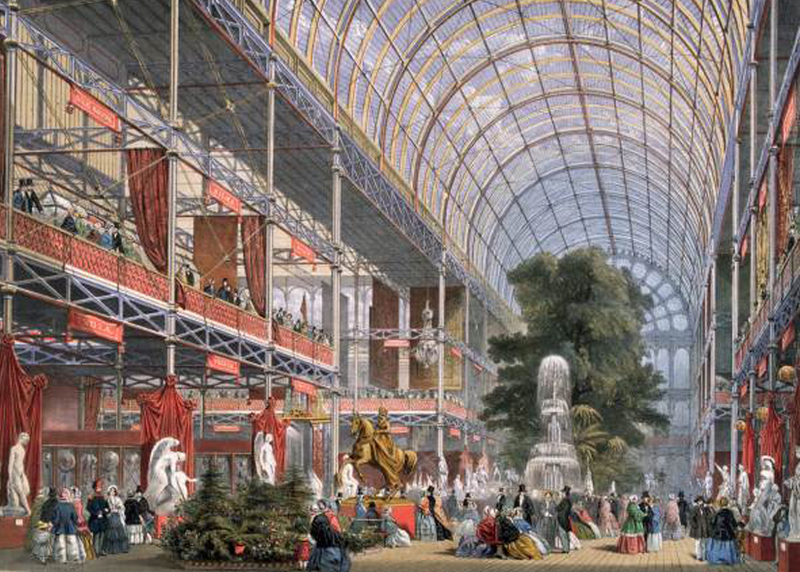 Joseph Paxton's Crystal Palace has been called “proto-modern architecture” and was widely imitated in Europe and the US . 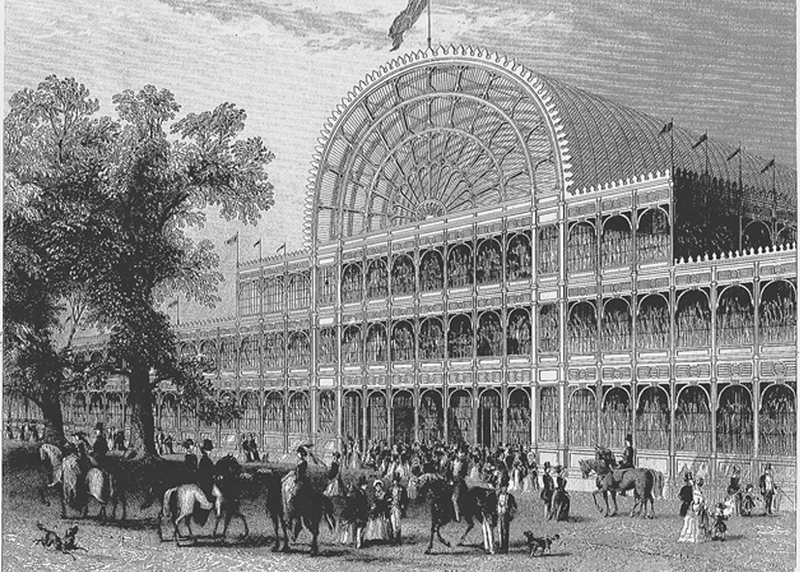 "The Great Exhibition at the Crystal Palace." Victorian Station, accessed November 15, 2012, http://www. As a matter of fact, prefab construction works were unheard of before the Industrial Revolution. But machineries became more and more refined and so did the items produced. Now, modern prefabs build are available in a variety of building materials, styles, and price points, which makes prefabs always a cutting edge of the architecture.